CBD Oil Review rates Blue Sky Biologicals with three stars because it qualifies for the Quality, Mission & Innovation Badges. Blue Sky Biologicals is producing serious volume on a global scale. With extensive and efficient production facilities in China, they are procuring top-notch CBD for individuals and brands all over the world. From humble beginnings in the kitchen of a wellness expert, Blue Sky Biologicals has grown through their commitment to basic tenants: conscious impact, organic promise, interconnectedness, and restoration. While we are disappointed in their lack of posted test results, they are nevertheless a brand worth checking out. Blue Sky Biologicals has a humble history, beginning in the kitchen of Preet Marwaha, a now world-renowned nutrition and wellness expert. Preet changed the course of his health through whole food nutrition and holistic remedies and set out to share his expertise with the masses, maintaining affiliations with the United Nations, the World Wellness Project, and various other international organizations. From its small start, the company has transformed into a worldwide CBD powerhouse with headquarters in Vancouver and offices in the U.S. and Australia. Their products are sourced from a sustainable 20,000-acre organic farm in China. Blue Sky Biologicals has an unrivaled operational capacity in the industry, enabling them absolute control over all facets of production. They employ an impressive team of hemp genetics experts and other scientists to create formulations they claim are the most effective on the market. All Blue Sky Biologicals products are full spectrum and segmented into three family brands: Amarit, Satiica, and Kanabia. 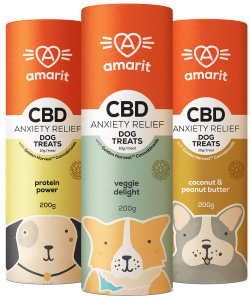 Amarit caters to pet health and features CBD treats and a CBD nectar spray free of coloring, preservatives, and chemicals. Their antimicrobial CBD gel for bites, cuts, and scrapes is an innovative pet product we’ve never seen before that combines CBD with powerful anti-microbial silver for rapid healing effects. 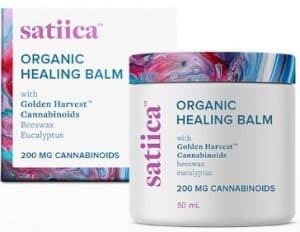 Satiica, their personal care line, includes CBD topical offerings free of sulfates and parabens. 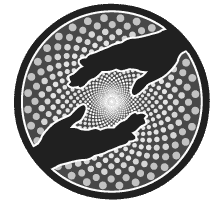 Their proprietary Golden Harvest™ cannabinoid blend is paired with other natural ingredients in lip balm, healing balm, firming eye cream, serum, and moisturizer. 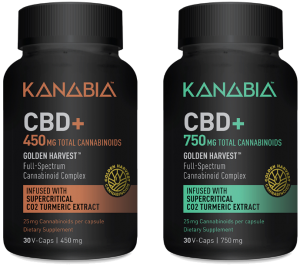 Kanabia completes the brand trifecta and features CBD+ tinctures, capsules, and delicious organic CBD chocolate. We’re impressed by the synergistic varieties in the line that contain supercritical CO2 turmeric extract. Turmeric is one of nature’s most powerful healers, but its wellness qualities are minimized or negated altogether through many production methods. By utilizing supercritical CO2 extraction, Blue Sky Biologicals is providing its customers with potent turmeric that will actually maintain its amazing properties. Bottom Line – Blue Sky Biologicals is a global force to be reckoned with. 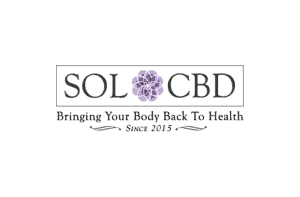 While we believe they have premium CBD products, we cannot award the Safety Badge due to a lack of published test results. In fact, Blue Sky does not mention their testing processes anywhere on their website. We hope to get clarification on this front and see more charitable action from this exciting company. Blue Sky Biologicals operates their own 20,000-acre organic hemp farm and controls the entire production process in their state-of-the-art cGMP facilities. Blue Sky Biologicals focuses on sustainable, organic CBD production to positively impact people and the planet. Blue Sky Biologicals has formulated a proprietary full-spectrum CBD complex which they blend with other dynamic ingredients like supercritical CO2 turmeric extract to create exciting and potent products.